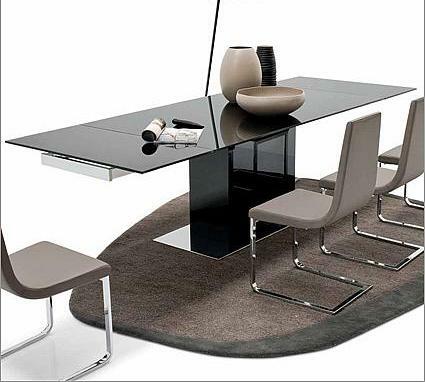 Elegant and sleek, Calligaris Park Glass Extendable Dining Table is a perfect addition to any dining space. 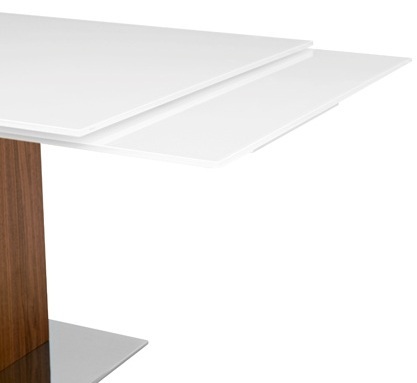 It features sturdy toughened glass top that can be extended thanks to two side extension leaves. The wooden pedestal base standing on a rectangular metal base plate features an interesting mix of materials while guaranteeing optimum comfort for all guests. 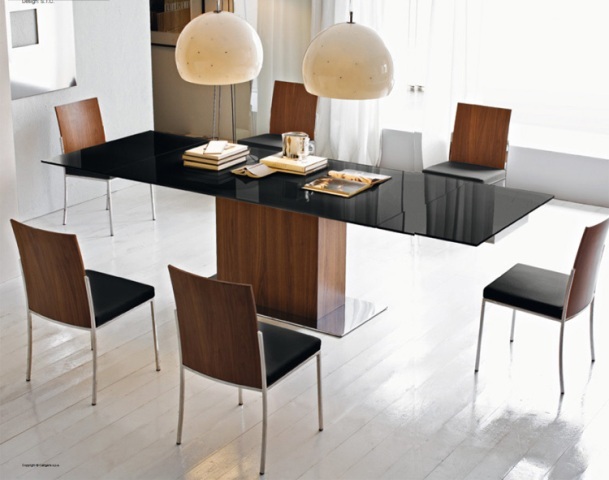 The modern Park Glass Extendable Dining Table by Calligaris offers stylish touch to any space.